Who was your top man as Celtic were held at Easter Road by Hibernian in the Scottish Premiership? 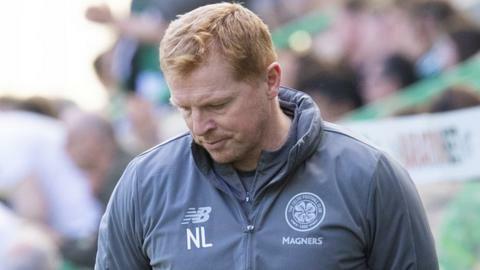 With "every game an audition", does Neil Lennon need to beat Aberdeen in Sunday's Scottish Cup semi-final en route to securing a Treble Treble to stay on at Celtic? Steven Gerrard must address mentality and midfield problems, and Neil Lennon dare not slip up, as Celtic host Rangers on Sunday, writes Tom English. Returning Celtic manager Neil Lennon might have felt like a scientific experiment at Tynecastle, but a madcap few days were always likely to end in a thunderous manner. Why might Brendan Rodgers prefer a return to the Premier League with Leicester? And why might he have stayed at Celtic? Try our quiz. Read more on Celtic or Leicester... can you tell the clubs apart? Celtic fans might be upset and angry, but Brendan Rodgers' impending departure for Leicester City should not come as a surprise, writes Tom English.